We have selected the best forex brokers who offer to build your own automatic forex trading systems. As a basis, you have over 100 systems historically, so you can see how it works. By back testing, you can select the specific currency pairs to test. Never before has it been easier to make money on forex trading. We let to traders lease our FX Trader Robot which will work for you 24h every day and night for as long as you wish. All you have to do just lease fx robot, not necessary install EA, we will send to you login and password to MT4 account where you can see the trades but in case if you want fx robot start trade on your account with your broker you have to install forex copier for MT4 and fx robot will implement trades even at your real account with any broker of your choice at MT4 platform. Our FX Trader Robot successfully show positive results and profit at all currencies, commodities, gold, silver, oil markets because in the algorithmic trading mechanism programmed the principles of arbitrage trading, when every "Long" order hedged by "Short" order (similar Call/Put in option`s trading), to be thankful to swing trading Fx robot execute trades multiple times for a day and generate profit in a long term period. We recommend test our robot for period of 3 - 6 month for a better evaluation. 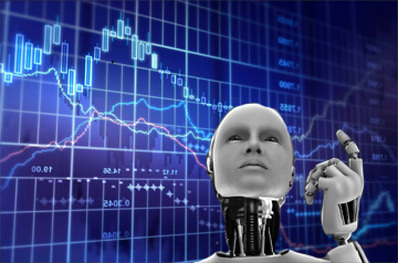 *In compare with other 100% fully-automated EA our FX Robot is semi-automated that means human`s involvement required, this is not a simply coded patterns EA like many others trying to sell on the market but our automated robot under our trader`s control. If something going wrong with FX Trader Robot our Traders will help to make the trades correctly. The FX Robot is useful for beginner and professional traders. The beginner traders can analyse and follow trades, build their theories and understand principle of trading better while professional traders will get additional tool for their daily trading, funds management.